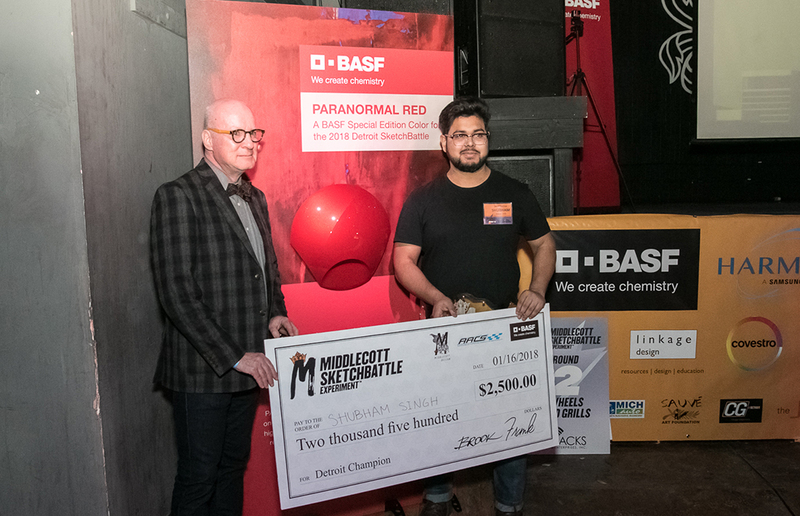 Shubham Singh, a student at the College for Creative Studies in Detroit, Michigan, won the 2018 Detroit Middlecott Sketchbattle Experiment presented by BASF. Singh won $2,500 and a championship belt designed by Mob Steel. 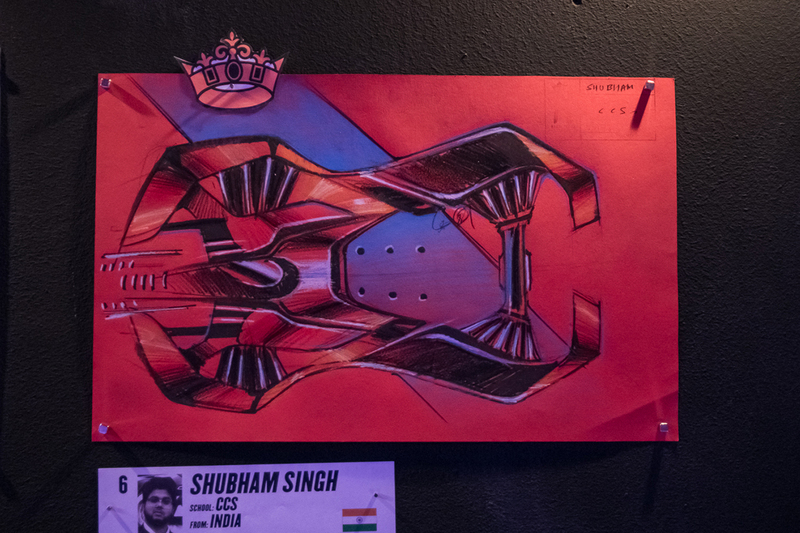 Introduced in 2012, the experiment is Detroit’s “Fight Club of Design,” an underground, automotive industry event developed to identify emerging car design talent. Coinciding with the North American International Auto Show, the event is an automotive sketching competition where contestants contend for the Skethchbattle championship. Fifteen professional and student contestants competed in front of an audience in a timed, three-round boxing-themed setting. During the final round of the competition, contestants were asked to incorporate a special color concept into their drawings. BASF created a custom color, Paranormal Red, specifically for the Detroit Sketchbattle. Other judges included: Jim Fleming, Director of Cadillac Exterior Design; Mark Trostle, Head of Performance, Passenger and Utility Vehicle Exterior Design, Fiat Chrysler Automobiles; and Michael Smith, Recruiting and Talent Manager, Ford Design. Contestants were judged on sketch quality and adherence to the theme in each round. The Sketchbattle raised more than $7,500 for Project Beautiful – Inside and Out, a Michigan-based non-profit that builds confidence and hope for people, especially women in shelters, to rebuild their lives.